Pedro Pascal was born in Santiago, Chile, but he and his parents fled the country for the United States under political asylum, due to their involvement with an opposition movement against dictator Augusto Pinochet. They settled in San Antonio, Texas, and then later moved to Orange County. Pedro recalled to Interview magazine that these years were when he caught the acting bug. “I didn't fit in and it was pretty lonely. The way that I was occupying my time, I started reading plays and renting the classics. I was 13 or 14 — before I could get a driver's license and drive to somebody's house or to a party. My parents had to have been worried because that was all I did. That's how I ended up seeing Mike Nichols's movies — Who's Afraid of Virginia Woolf and The Graduate." His love of acting inspired him to study at the Orange County School of the Arts, and New York University’s Tisch School of the Arts. He met actress Sarah Paulson at the latter, and the two became good friends. Pedro’s career began to take off in the late '90s. He appeared on the small screen in many TV shows, including Buffy the Vampire Slayer, The Good Wife, Homeland, The Mentalist and Law & Order: Criminal Intent. In 2011, Pedro was cast in the Wonder Woman television series pilot, but unfortunately, the show was not picked up. 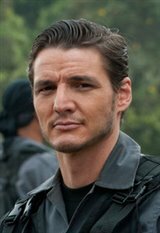 In June 2013 he was cast as the sly and dashing Prince Oberyn Martell (a.k.a The Red Viper) in the fourth season of HBO's Game of Thrones. This was a dream come true for the longtime fan of the series. Pedro recalled in an interview that he was mentoring a younger actor who was going to audition for the part of Oberyn, but after reading the script, Pedro realized he wanted it for himself. He called up his manager, and with the help of friends like Sarah, and Amanda Peet (who is the wife of GoT show-runner David Benioff), he would soon be on his way to Belfast to film the show. Pedro already knew the violent fate of Oberyn early on, which would go on to be considered the most gruesome death on Game of Thrones thus far. He remained on the show for seven episodes, and says he hopes fans remember his character as "a lover and a fighter, who ushered in something new to King’s Landing." Pedro and the cast received a Screen Actors Guild nomination for Outstanding Performance by an Ensemble in a Drama series. After Game of Thrones, Pedro’s next role was in the Netflix original series Narcos, starring as D.E.A agent Javier Pena. Aside from acting in popular TV shows, Pedro is also well-versed in stage production, and has experience as both an actor and director. He has appeared in numerous plays, including Maple and Vine by Jordan Harrison, Beauty of the Father by Nilo Cruz, David Greenspan's Old Comedy, Terrence McNally's Some Men, and Shakespeare in the Park's 2006 production of Macbeth. He is a member of New York City's LAByrinth Theater Company. Pedro received the Los Angeles Drama Critics Circle Award and Garland Award for his role in the International City Theater production of Orphans. Pedro has called New York City home for over 20 years. Proving himself to be an actor of all trades, Pedro co-starred alongside Matt Damon in The Great Wall (2017), played a starring role as Jack Daniels in the sequel Kingsman: The Golden Circle (2017) and starred with Denzel Washington in The Equalizer 2 (2018).